While the majority of my job involves sales, I work on sales on a corporate level, so it’s also a matter of building relationships with people, keeping customers happy, and other aspects of customer care. And while my company has a very loyal base of happy and completely satisfied customers, we are human, and like every company there’s glitches that pop up and issues that happen and customers that get upset. And it’s my job to deal with those unhappy people. And if an unhappy customer who spent a hundred dollars is a problem, you can imagine that an unhappy customer who spent a hundred thousand dollars is about a thousand times more of a problem. But it happens. And we deal with it. And they come back, which means we did our jobs right. So how do you deal with a multi-million dollar customer who’s unhappy? It’s a question I faced often when I started my job. My coworker, who’s been at this longer than I’ve been alive, gave me excellent advice. “The best solution,” she told me, “is the simplest one.” Don’t make excuses. Don’t try to validate a problem. Tell the truth. Explain what happened. Do whatever you can to make it better. This advice may seem simple, but it never failed me. Much like these fries. A couple of my friends were complaining that the recipes on this blog were all a bunch of fancy desserts, but they wanted real recipes, for real families to eat for real suppers. The best solution? It’s a simple one. These fries are healthy. They are delicious, and they have very few ingredients. 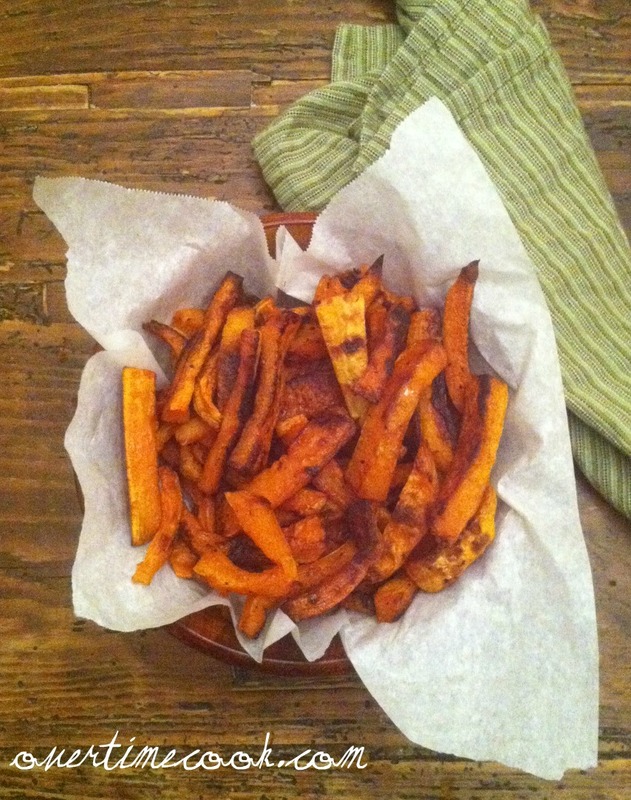 And for any dieters out there, these fries not only taste like sweet potato fries, but they have the same texture. A starch-like dish for the calories of a vegetable? I say that’s a good deal. Bake at 375 for 1 and half to 2 hours, turning approximately every half our. Serve warm. And of course, enjoy! Note: If you have any leftover, which is relatively unlikely I had a difficult time getting photos of these! you can eat them cold as a delicious snack the next day! They look amazing-can’t wait to try them. I wish I could eat them through the computer. They don’t look like they’d last too long in my house! Now THAT’s what I’m talking about, and I even have a butternut squash right here that isn’t yet earmarked for a specific dish. So if I have extra time, I make your orange soup. And if I’m in a rush, I make these. Ding! Should’ve bought two squashes. I was at the farmer’s market with a credit to spend. I bought fresh cilantro instead. Cilantro recipe coming up?! This is a great idea. 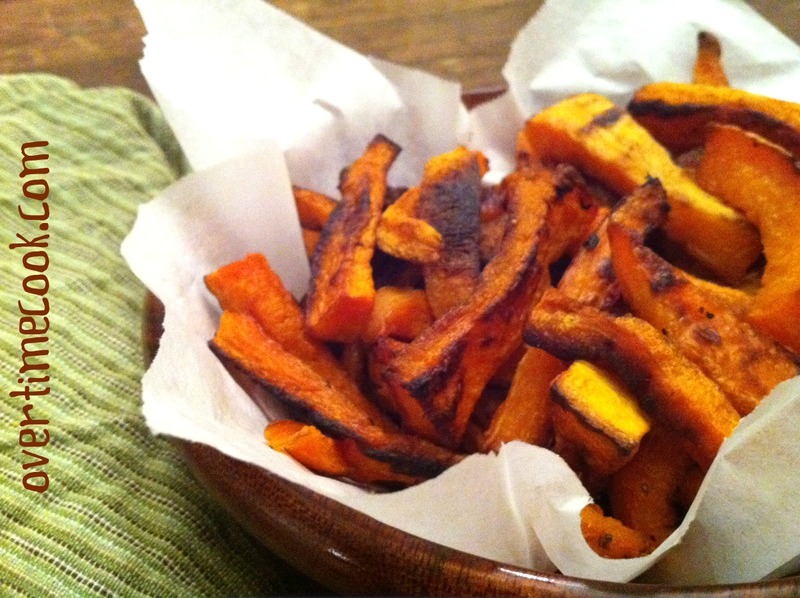 We eat sweet potato fries all the time, but this would be a fun twist. The disadvantage is a longer cooking time. I don’t think I make anything that takes 2 hours in the oven! And for what it’s worth, I love reading about your desserts. No complaints here! 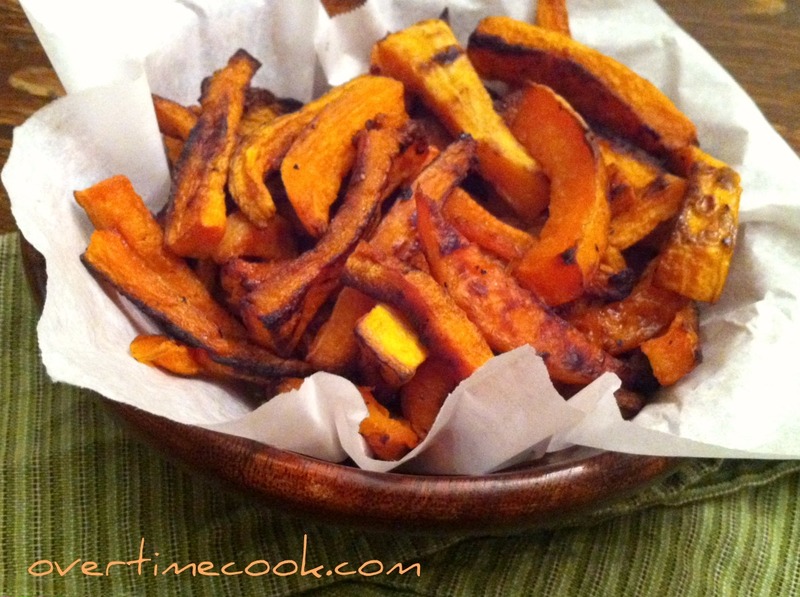 I would love to try these…I love sweet potato fries and these look really similar…super duper awesome idea! Great idea! I usually cut my butternut squash in cubes and roast with brown sugar, olive oil, salt and pepper–I bet it would be great made the same way, but with the french fry shape. This is the best guilt free snack! I omitted the oil (used cooking spray)…this is my new snack replacement, im never bored of!